A model 1905 field gun is displayed at American Legion Post 37 in McAllen. 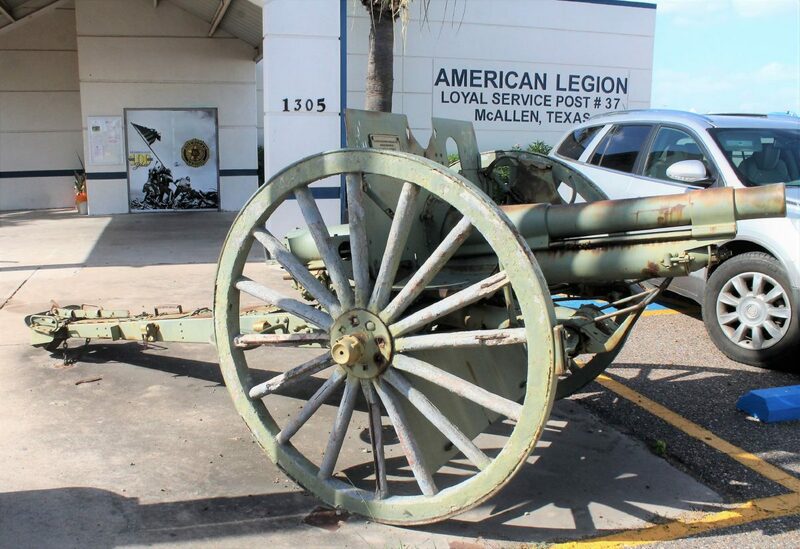 McALLEN — Veterans from American Legion Post 37 need assistance in rehabilitating a model 1905 field gun that has been with the legion for more than half a century. The field gun is displayed the American Legion Loyal Service Post 37 entrance, located at 1305 E. Jasmine St. The weapon has been in the post’s hands since before its recent location change. It was donated by the Horace Hilton family in 1969 at post’s original location, near the Boggus Ford Auto Group off of Expressway 83/Interstate 2. Cliff Mahathey, American Legion Post 37 committee co-chair, said the purpose of restoring the gun is to keep alive the memory of the brave soldiers who have served for their country. The model 1905 field gun is displayed at American Legion Post 37 in McAllen. “It’s gone through many restorations from the standpoint of knocking the rust off and putting the paint back on it,” Mahathey said. The artillery, which was once active years ago, has slightly been worn down over the years. “We think it probably came down here with Gen. John J. Pershing when he was tasked to go after Pancho Villa during the Mexican Expedition and around that era,” Mahathey said. The gun was cast in 1916, but according to historical records it was in this area only for the expedition. “We think it’s a survivor of that period of the American Expeditionary Force,” he said. The restoration location is called Historical Ordnance Works and is based in Georgia, where the company restores different types of artillery. 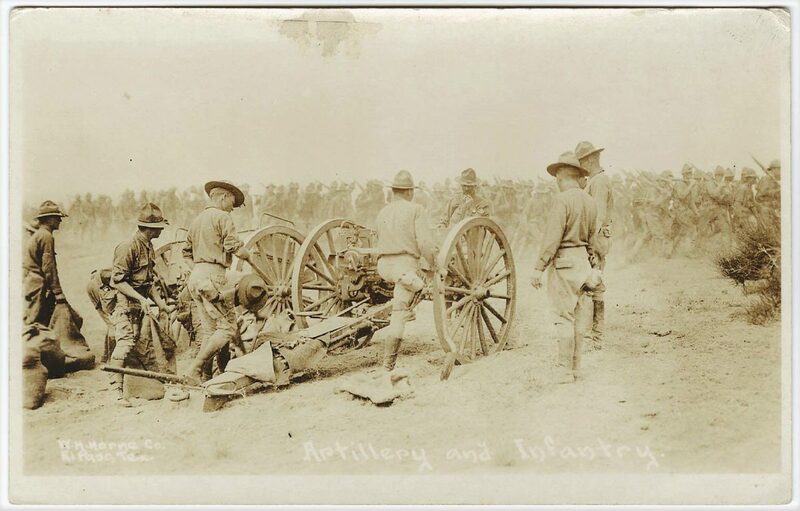 “The gun couldn’t go into battle without its supplies, all the shells and maintenance equipment that went along with it and all that equipment was in a case called the caisson and it never went anywhere in battle without it,” he explained. The full restoration amount is $25,000; with $12,000 set aside for the field gun and another $12 thousand for the caisson. The legion has raised approximately $7,000 so far. The process should take approximately four months to restore and they’re hoping to send it off to the company by November. American Legion Post 37, with almost 500 participants, is a 501(c)(3) and the donation is tax-deductible. For more information on how to donate visit Post 37’s GoFundMe page at www.gofundme.com/Post-37-Field-Gun-Restoration.